Why are cell towers even necessary? Everyone has a cell phone. Of course they do. It’s 2018. We hardly even stop anymore to think of the little marvels in our pockets. Yet, as much as we love cell phones, we hate cell towers. They’re big, they’re ugly, and they seem like they’re everywhere. Why do we even need them when our phones have gotten so advanced? We don’t really stop to think about how cell phones actually work. When you call someone else, you’re not connecting straight to them. It’s actually a pretty weird path. The landline phone provider routes it through several stops. Pardon me for a second while I say how incredibly amazing that all this happens instantly and you don’t even notice it. Cell towers are ugly, but without them, nothing is going to happen. The whole idea of a cell phone is that you can use a fairly weak radio to broadcast. A radio that could reach 25 or 30 miles at any time would need to be stronger. That would mean it would be a lot bigger and heavier. Obviously you wouldn’t like that. Having cell towers close by is what makes cell phones work the way they do. In order to have uninterrupted calls, you need to have reception from at least two cell towers if you’re moving, or one tower if you’re not. That means they need to be close. With the LTE technology used by most providers, you generally need a tower about every 1 to 1.5 miles. If you think about it, that’s a lot of towers. Of course, not every tower needs to be one of those giant ones like you see on the side of the highway. Most cell towers are much smaller. The big towers handle more calls, which is why you see them in places like highways where a lot of people are close together. In major cities, cell towers are extremely close together, often perched on big buildings. 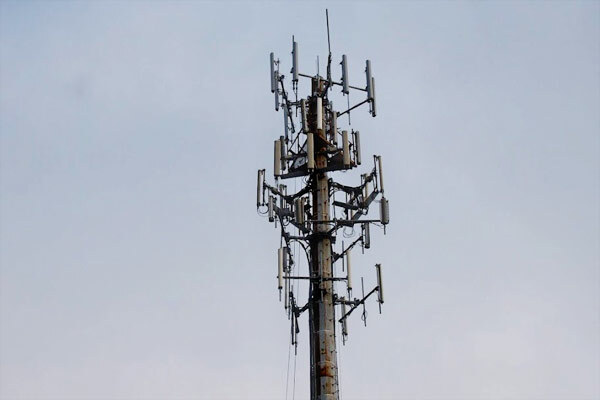 What would it take to get rid of cell towers? Well, unless there’s some miracle discovery that lets a 250mW transmitter carry for 20 miles, cell towers are going to be part of the equation for years to come. They won’t go away. The good news is that you’re seeing all sorts of upgrades all the time. Because phones are always getting faster and internet speeds are always increasing, cell towers are always getting upgraded. The trend is toward smaller, more efficient cells that aren’t so easy to spot. They’re often on power poles and barely noticeable. Another option that is being actively explored in some areas is using homes as microcells. In other words, if a homeowner were willing, their spare internet capacity could be used to provide a small amount of cell coverage. This would be secure and wouldn’t have any effect on their personal security. Comcast tried something like this with Wi-Fi hotspots in the past but it wasn’t well received. On the other hand, a company like AT&T could put dedicated equipment in place as they were upgrading a home for 5G wireless internet and there wouldn’t be any impact at all to the homeowner other than a potential discount on their service.